EEGFocus combines digital EEG review with advanced analysis features such as 3D whole head mapping, brain source montages and images, spike pattern search and averaging, spectral analysis, DSA trend analysis, on-line correction of eye and EKG artifacts etc. EEGFocus provides a user-friendly interface for immediate analysis of abnormal patterns during review, e.g. 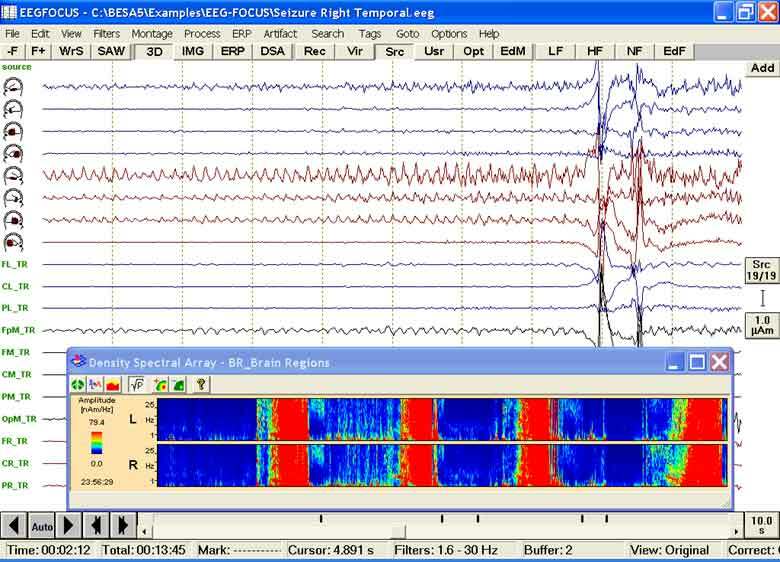 spikes or rhythmic EEG activities. Similar patterns can be searched for in the whole EEG and averaged, for example, to analyze a spike or seizure onset.